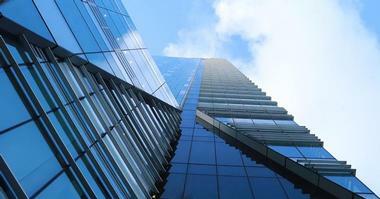 This bustling, vibrant seaport city has a wealth of other sights to take in, as well as some excellent places to stay. From cozy guesthouses and family-friendly retreats to five-star resorts and opulent boutique hotels, Sydney has a hotel for every budget and taste. 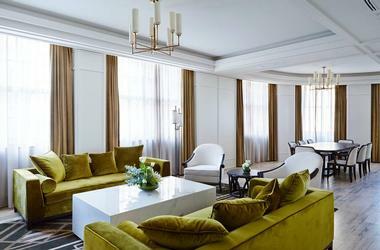 Conveniently located a short walk away from Sydney’s Central Station, the 57 Hotel is a stylish and sophisticated hotel that offers comfortable guest rooms with modern amenities, a continental breakfast every morning, and an array of guest service, including luggage storage, dry cleaning and laundry services, and concierge services. Well-appointed air-conditioned guest rooms have en-suite bathrooms with showers and deluxe toiletries, flat-screen televisions, iPads, fridges, mini-bars, and tea trays on request, and complimentary wireless Internet. The hotel is situated within walking distance of the bustling shopping and dining area of Crown Street, the famous nightlife of Oxford Street, Circular Quay, Sydney Opera House, and the Royal Botanic Gardens. 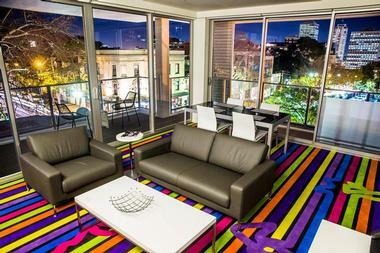 Located on the southern edge of the city center in Surry Hills, the ADGE Boutique Apartment Hotel is a residence-style hotel with modern, fully equipped apartments featuring full kitchens with washing machines and tumble dryers, open-plan living and dining rooms and en-suite bedrooms. The non-smoking hotel has a 24-hour front desk and provides services such as luggage storage, room service, and complimentary wireless Internet throughout, and a restaurant and bar serve casual cuisine and drinks for breakfast, lunch, and dinner. Situated in a quiet residential neighborhood, the hotel is within walking distance to great shopping and dining areas, as well as the main tourist region of the city. Astral Tower and Residences at the Star is a luxurious residence-style hotel in The Star Entertainment Complex overlooking Darling Harbour. 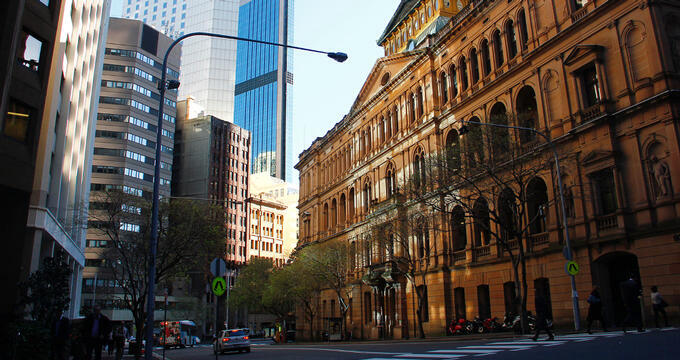 Offering well-appointed accommodations with modern amenities and spectacular views of the city skyline, the hotel and residences is a short walk from the Sydney CBD (Central Business District). Accommodation is provided in the form of stylish hotel rooms with contemporary comforts, and luxurious one-, two-, and three-bedroom suites called Astral Residences which have fully-equipped kitchenettes and private balconies with views. A variety of high-end restaurants and bars serve award-winning cuisine and libations, and a full breakfast is served at the Harvest Buffet every morning. Other facilities that are available to guests include a health club with gym and sauna, heated indoor and outdoor swimming pools, and a business center. Set in a beautiful building with deep balconies and breathtaking views across Mosman Bay, Cremorne Point Manor is a comfortable, two-story guesthouse with comfortable accommodations, modern amenities and a relaxed dining room that serves casual fare. 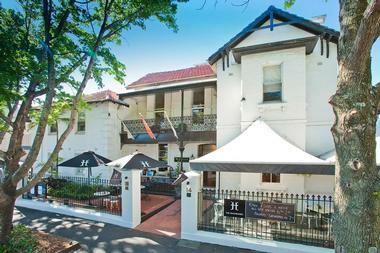 Located a short ferry ride away from the city center's Circular Quay, which is close to the Sydney Harbour Bridge and the Sydney Opera House, the guesthouse has airy guest rooms with high ceilings, arched windows, en-suite or shared bathrooms, and modern amenities such as flat-screen televisions with DVD players and complimentary wireless Internet. Shared balconies have glorious harbor views, and facilities and services include a guest kitchen, a DVD/games library, and coin-operated laundry facilities. The Darling Harbour Getaway is a sleek all-suite hotel with deluxe two-bedroom suites, high-end facilities, and beautiful views of Darling Harbour. 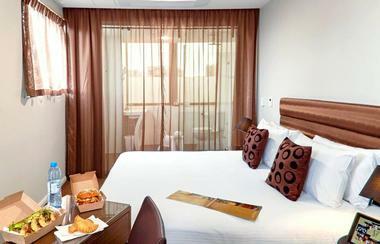 Located within walking distance of the Central Business District and the Sydney Tower skyscraper, the hotel features stylishly appointed suites with contemporary décor, spacious living and dining areas, marble en-suite bathrooms with showers and designer toiletries, and modern conveniences such as flat-screen televisions, CD/DVD players, and complimentary wireless Internet. Facilities at the hotel include an indoor swimming pool and whirlpool, a fully equipped fitness center with a sauna and a steam room, a terrace with BBQ grills, and free parking. 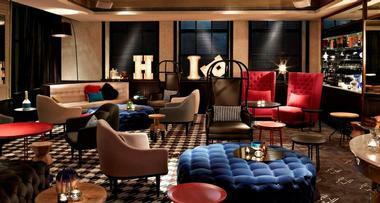 Set in a stylishly converted warehouse among trendy bars and restaurants in the heart of the city, the Establishment Hotel is a sophisticated, contemporary retreat with chic, airy guest rooms, state-of-the-art amenities, and three acclaimed restaurants. Comfortable guest rooms have spacious living areas, marble bathrooms with designer toiletries, and modern conveniences such as flat-screen televisions, Apple TVs, iPads, Bose stereos, and complimentary wireless Internet. Three hip restaurants and three bars offer evening entertainment; breakfast is served on a pretty garden terrace or in-room for an additional fee. Other facilities include a fully equipped gym, and the Sydney Opera House and Sydney Harbour Bridge are a short walk away. 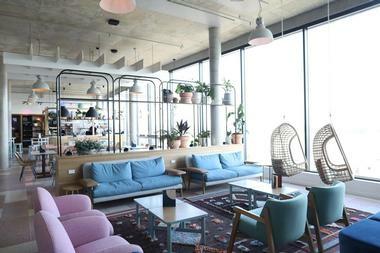 The Felix Hotel is a comfortable airport hotel located at the Sydney Airport that offers contemporary guest rooms with locally sourced art, stylish décor and furnishings, a 24-hour food shop, and a one-of-a-kind rooftop cinema. Hotel rooms are available in several high-flying themed options, ranging from Economy, and Premium Economy to Business, and First Class and feature en-suite bathrooms with power rain showers, sumptuous bedding, flat-screen televisions, and high-speed wireless Internet. A luxury penthouse is available with breathtaking views, and other services include optional self-check-in kiosks, a comfortable sky lounge, and a cocktail bar. InterContinental Sydney Double Bay is a luxury hotel from the InterContinental group that features sleek, contemporary accommodations, high-end amenities and facilities, and a convenient location just a short walk from the ferry at Circular Quay. The upmarket hotel boasts a beautiful marble lobby and luxe interiors, and spacious guest rooms and suites have floor-to-ceiling windows, marble bathrooms with rain showers and deluxe toiletries, modern conveniences such as flat-screen televisions, and espresso machines and complimentary wireless Internet throughout. Upgraded suites have private balconies with gorgeous views and access to a pretty courtyard and elegant lounge and a complimentary breakfast, afternoon tea, and evening drinks are served in the main dining room. High-end facilities include a rooftop infinity swimming pool, and stylish rooftop bar, an exclusive spa, and wellness center and an award-winning restaurant serving gourmet cuisine. Set on a hillside overlooking Dolphin Bay, Jonah’s is an upscale hotel with contemporary rooms, a stylish terraced restaurant and bar, and breathtaking views of the ocean. Located in Palm Beach close to Barrenjoey Beach and the Barrenjoey Head Lighthouse, the hotel has comfortable guest rooms with spacious sitting areas, en-suite bathrooms, showers and designer toiletries, and modern conveniences such as flat-screen televisions, coffee machines, minibars, and complimentary wireless Internet. Some rooms have whirlpool tubs, and all have balconies with beautiful views. A complimentary breakfast is served every morning in the restaurant which is set on a large terrace overlooking the bay. 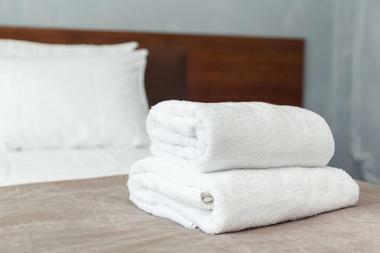 In-room spa treatments are also available. 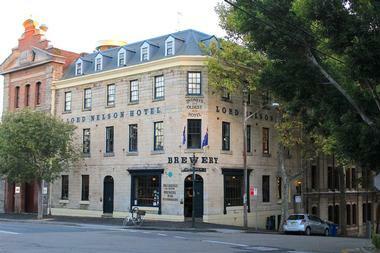 The Lord Nelson Brewery Hotel is a heritage-listed pub and hotel in the inner-city suburb of Millers Point in the historic Rocks precinct. 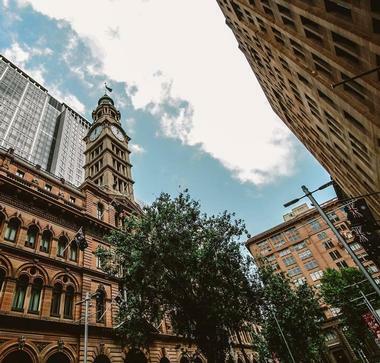 Designed by Michael Lehane and built in the late 1830s, the landmark hotel and pub is Sydney’s oldest continually licensed hotel and offers comfortable guest rooms and suites, modern amenities, and award-winning food and drinks. Well-appointed guest rooms have en-suite bathrooms with showers and designer toiletries, and modern conveniences such as flat-screen televisions, coffee machines, minibars, and complimentary wireless Internet. A restaurant called Upstairs is situated on the first floor and serves highly acclaimed and eclectic Australian cuisine and expansive, award-winning wine list. The Lord Nelson Brewery Hotel is Australia’s oldest pub brewery and produces award-winning natural ales, which can be sampled in the bar. The Medusa Hotel Sydney is a contemporary boutique hotel close to Kings Cross train station offering privacy, comfort and style, comfortable guestrooms, and modern amenities. Boasting a chic urban design, the colorful hotel has a private courtyard and business center and features modern, air-conditioned guest rooms with striking décor, fully-equipped kitchenettes with minibars and coffee machines, en-suite bathrooms with showers, and modern conveniences such as flat-screen televisions, and complimentary wireless Internet. Room service is available, and a 24-hour concierge is on hand to assist with reservations and trip excursions, and the dog-friendly hotel is within walking distance of the landmark Sydney Tower. Surrounded by the bustling bars and restaurants in the trendy Paddington neighborhood, Mrs Banks Hotel is a chic boutique hotel based in a former bank dating back to 1914 and offers hip, warmly decorated guest rooms and stylish amenities. Ideally located within a short walk from a bus station, the hotel’s air-conditioned guest rooms have en-suite bathrooms with showers, and modern conveniences such as flat-screen televisions, mini fridges, and Nespresso machines, and complimentary wireless Internet. A complimentary continental breakfast is served every morning, and a comfy lobby lounge provides a casual spot to relax. Set on Sydney's Woolloomooloo Wharf in Woolloomooloo with beautiful views over the ocean, the Ovolo Woolloomooloo is a contemporary hotel with a chic restaurant and bar, a heated indoor swimming pool, and hot tub, and a fully equipped, state-of-the-art gym. The hotel features sleek guest rooms with en-suite bathrooms with showers, flat-screen televisions, iPod docking stations, mini fridges, and Nespresso machines, and stylish suites with spacious lounge areas, sofa beds, and skylights. Complimentary wireless Internet is available throughout the hotel, and the onsite restaurant has floor-to-ceiling windows with spectacular views. Ovolo Woolloomooloo is a short drive away from Darling Harbour, and the Sydney Opera House. 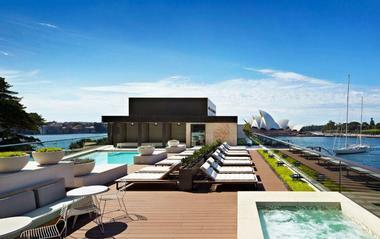 The Park Hyatt Sydney is a luxury hotel in The Rocks neighborhood with spectacular views of the Sydney Harbour and the Sydney Opera House. A luxury spa and wellness center, and a heated swimming pool offer luxurious comforts, a formal European restaurant serves gourmet cuisine, and a more casual eatery is ideal for long breakfasts and light lunches. Fine wines, signature cocktails, and craft beers can be enjoyed at the hotel’s sophisticated bar, and in-room dining is available. 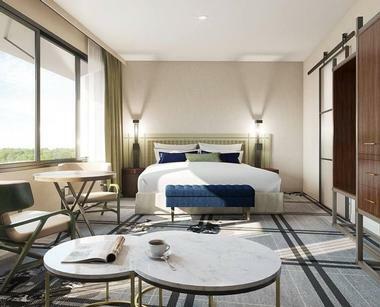 Designer guest room and suites have chic décor, en-suite bathrooms with rain showers, state-of-the-art amenities such as flat-screen televisions, Bose sound systems, Nespresso machines and minibars, and upgraded suites feature kitchens and terraces with spectacular views. 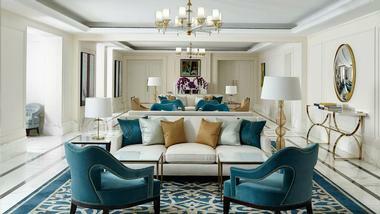 All rooms enjoy 24-hour butler service. Occupying a beautifully maintained 1930s art deco building close to the Capitol Theater in the heart of Sydney, the Primus Hotel Sydney is an upscale retreat with contemporary guest rooms and suites, and upmarket facilities such as an outdoor swimming pool, a fully equipped fitness center, and a refined restaurant. A short walk away from Darling Harbour; the hotel features well-appointed guest rooms with en-suite bathrooms and rain showers, state-of-the-art amenities such as flat-screen televisions, iPod docking stations, Nespresso machines, and minibars. 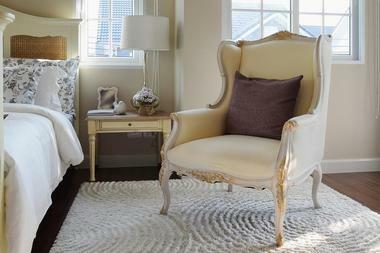 Plush upgraded suites have fully equipped kitchens, dining areas, and separate living spaces. An acclaimed restaurant has an open kitchen and serves traditional high tea in the afternoon and gourmet cuisine in the evening, and a sophisticated bar, a fully equipped gym, and an elegant rooftop pool with a bar are other deluxe facilities available to guests. Housed in the historic landmark State and Gowings buildings next to the iconic State Theatre in the city center, the QT Sydney is a refined hotel with chic accommodations, modern amenities, and an exclusive spa. A sleek restaurant is a place to go for award-winning cuisine in a stylish setting, while drinks and socializing can be enjoyed in the hotel’s sophisticated lounge. A casual café offers light meals and freshly brewed coffee, and a luxury spa presents an array of pampering massages and other treatments. Well-appointed and individually decorated guest rooms and suites boast custom furnishings and en-suite bathrooms with walk-in showers, along with high-end comforts like flat-screen televisions, coffee machines, and minibars. Upgraded suites come separate living rooms and private balconies, and the hotel with a short drive away from the famous Sydney Opera House. Built in 1892, the Simpsons Hotel Potts Point is a historic redbrick hotel with charming, antique-furnished rooms with art-adorned walls, elegant communal areas, and gracious, personalized service. Located just a short walk away from Woolloomooloo Bay and a few kilometers from Sydney’s city center, the 19th-century Simpsons Hotel offers boutique guest rooms with air-conditioning, period décor, en-suite bathrooms, and spacious living areas, and modern amenities such as flat-screen televisions, coffee machines, and minibars. A plush lounge and library are perfect for relaxing with a book, and knowledgeable hotel staff is on hand to provide sightseeing advice and organize day trips. A complimentary breakfast is served in The Conservatory each morning. Overlooking Darling Harbour next to the new International Convention Centre in Sydney and just a short walk from the bustling shopping areas, the luxurious five-star Sofitel Sydney Darling Harbour offers an exceptional hotel experience. The hotel’s 590 guest rooms and suites blend sleek contemporary design with elegant French touches, a gourmet restaurant serves award-winning French cuisine, three stylish and sophisticated bars serve signature cocktails and fine wines and a club lounge and outdoor pool are the perfect spots for relaxing over sundowners. Airy, spacious rooms boast understated decor and floor-to-ceiling windows with spectacular harbor views, along with modern amenities such as flat-screen televisions, coffee machines, and minibars. Upgraded suites enjoy living rooms and free-standing tubs, and high-end facilities at the hotel include a fully-equipped fitness center, meeting rooms, a business center, and valet parking. Set on a quiet, tree-lined street in one of Sydney’s poshest neighborhoods, the Spicers Pott Point Hotel from their Retreats collection is a quaint boutique hotel set in a row of three Victorian terraced houses with decorative wrought-iron balconies and oodles of charm. The colonial-style hotel features 20 stylish rooms and suites with contemporary décor and period accents, dark wood floors and splashes of color from intriguing underwater artworks on the walls. Upgraded suites have original fireplaces and furnished balconies overlooking the leafy surrounds, and breakfast is served for an additional fee. The Darling Sydney is a Forbes five-star boutique hotel and urban resort that oozes glamorous individuality, gracious charm, and unrivaled elegance. Designed to enchant luxury travelers, the award-winning hotel boasts breathtaking views of Sydney’s world-famous harbor and landmarks from its prime position in Pyrmont and offers beautifully-appointed guest rooms, suites, and penthouses with contemporary décor, state-of-the-art amenities, and personalized services. Deluxe facilities include a heated outdoor swimming pool with poolside bar and tasting menus, an exclusive luxury spa and wellness center, a fully-equipped fitness center, and a running table in the lobby with complimentary water, towels, and running maps. Occupying a beautifully maintained stately 1870s home on the exclusive Queen Street Woollahra in Sydney's eastern suburbs, the Hughenden Boutique Hotel is an upscale hotel with bright, elegantly decorated rooms with original period accents and antique furniture and art, and a charming Victorian-style bar and terrace. Individually decorated guest rooms and suites have ornate four-poster beds with quilted headboards and fireplaces, and upgraded suites have whirlpool baths and private balconies. An acclaimed French restaurant serves gourmet cuisine and fine wines, and a comfortable lounge features plush leather sofas and a piano. Blending timeless elegance and refined sophistication with modern charm, The Langham is an award-winning, luxury hotel that stands out as one of the jewels of the city’s top hotels. Boasting a discreet and quiet location on the border of The Rocks heritage precinct, the hotel’s refined attention to detail and outstanding, personalized service is legendary and one of the hallmarks of the Langham heritage. Special Langham touches include a traditional grand British high afternoon tea in the elegant dining room, pampering massages and holistic treatments at the exclusive Day Spa, which features a 20-meter subterranean swimming pool, and gourmet cuisine and world-class wines at one of two highly acclaimed restaurants. Spanning two iconic heritage-listed buildings – The expanded 19th century Clare Hotel pub and the Carlton & United Breweries Administration Building, The Old Clare Hotel is a refined, 62 room boutique hotel that has been designed to exude the historic charm of the buildings in which it is based. 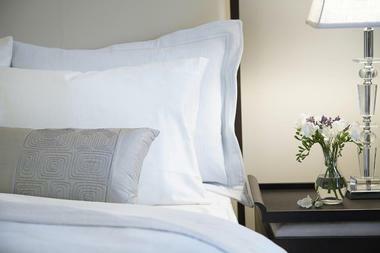 Well-appointed guest rooms and suites feature contemporary décor and vintage fixtures with marble en-suite bathrooms, free-standing tubs, spacious living areas and modern conveniences such as flat-screen televisions, and complimentary wireless Internet. A high-end restaurant serves sumptuous cuisine in a chic warehouse space, and a minimalist European eatery offers light fare, while bars in the lobby and next to the heated rooftop swimming serves a variety of libations. The hotel also houses a state-of-the-art, fully equipped gym. Set in an elegant 1891 building that was once Sydney's original General Post Office that has been seamlessly merged with modern 31-story tower annex, the Westin Sydney is an upscale hotel with well-appointed and individually decorated guest rooms and suites, modern amenities and a modern Australian restaurant set in a striking atrium. Located right next to the No. 1 Martin Place shopping mall and a mile from the Sydney Opera House, the Westin Sydney offers a variety of rooms and suites with traditional décor, kitchenettes, whirlpool tubs, and high-end technologies. Club rooms and suites include access to a private lounge with complimentary breakfast, snacks, and cocktails, and three bars and lounges serve a variety of bar fare and libations. The hotel also houses a state-of-the-art, fully equipped gym. Located in the south-west of Sydney at Riverside Stables, the William Inglis Hotel is an iconic hotel that celebrates a passion for equine culture and genuine hospitality. Named after the company’s figurehead and founder, the William Inglis is an award-winning equine-themed, M Gallery by Sofitel boutique hotel with 144 rooms, including 24 suites and the ultra-opulent ‘Black Caviar’ penthouse suite, four restaurants and bars serving both gourmet and casual cuisine, an exclusive spa and wellness center, a fully equipped fitness center, an outdoor swimming pool, and a variety of retail stores. Boasting spectacular views of the Georges River, William Inglis hotel is within walking distance of the Warwick Farm Racecourse and Grand Flaneur Beach.